MeasureMind 3D multi-sensor metrology software offers measurement of your most complex components alongside basic support of any number of sensors with single and compound rotary indexers, allowing operators to carry out measurements ranging from simple geometric forms to complex free-form shapes on properly configured OGP measurement systems. MeasureMind provides a highly flexible datum environment based on ISO and ASME standards. This includes datum levelling from any plane or feature with an axis, datum origin from any feature with a single location, and datum rotation from any point relative to the origin. 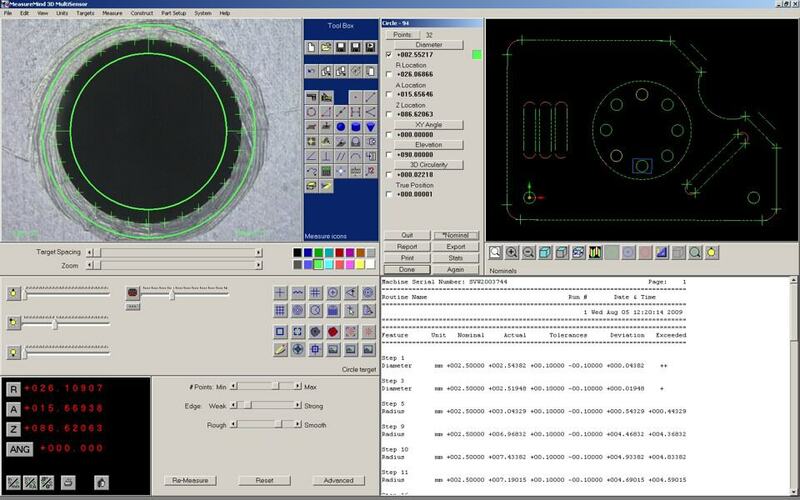 Users can collect data from single or combined sensors for 3D measurement of cylinders, cones, spheres, planes, and intersections, in addition to 2D features. Interactive data formulates to create graphical models demonstrating the part’s extensive quantitative numerical results. The software offers selective display measured features, nominal features, and/or raw data points. Choose orthographic or isometric views and you’ll be able to see the part model from every perspective with interactive rotation and one-click panning and zooming. MeasureMind 3D multi-sensor software is the premier control and acquisition software for select OGP video and multi-sensor measuring systems, features include rendered 3D models with colour-keyed tolerancing, support of continuous scanning probe, SoftSectioner support, project measured features in selected planes, video image processing sensor support as well as touch probe and laser sensor support, alongside true fourth and fifth axis measuring with optional rotary tables.